Amorello have put together some incredible, all-inclusive packages for guests looking for a luxurious bush getaway without the hassle of planning, cooking or driving. From a private chef to air-conditioned shuttle service, Ihlozi packages are tailored to make guests feel like VIPs. All you have to do is arrive and be ready for an exciting bush experience. Ihlozi is Amorello’s luxury 5-star bush lodge and the ultimate bush getaway. 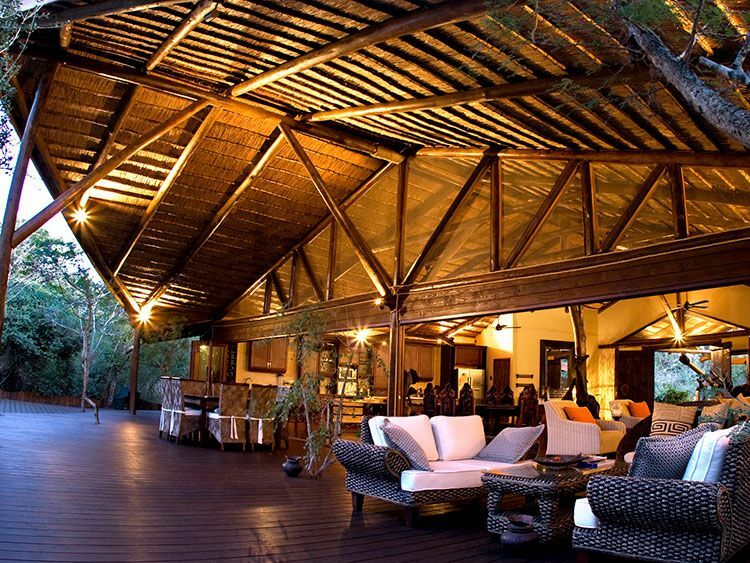 The lodge is located within the exclusive Kuleni Private Game Farm which borders Amorello. Kuleni is home to giraffe, zebra, wildebeest, nyala and other small antelope species. Ihlozi features four double, ensuite bedrooms with ceiling fans and fully air-conditioned. Terms and conditions apply to all rate packages. Prices below are in South African Rands and are subject to change without notice.